The nation’s capital has long had a love for craft beer - even before we started calling it by that name. With the Wig and Pen Tavern and Brewery first opening nearly 25 years ago, and Zierholz following about a decade later, Canberrans have had access to quality craft beer since well before most modern day hipsters were born. 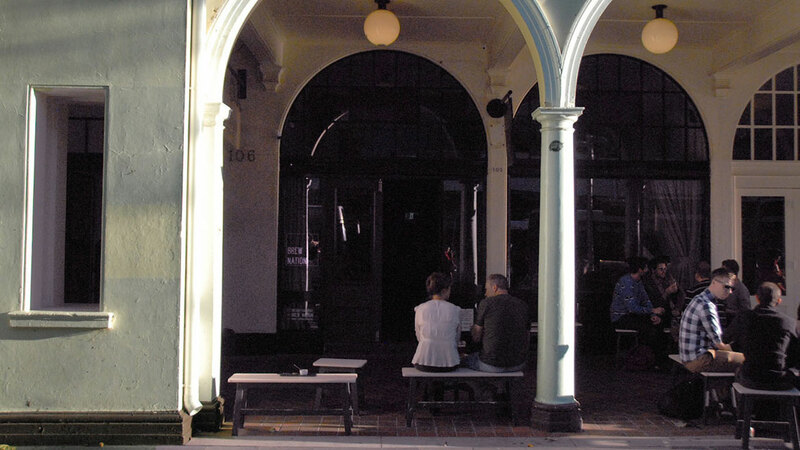 But, aside from the breweries, finding a place to enjoy a drink hasn’t always been as obvious to people from out of town, as Canberra hasn’t really ever done “pubs” the way the rest of Australia has. Instead, most locals would skip across the border to Queanbeyan, or head to one of the social clubs (including the Harmonie German Club, an excellent source of German beer). Thankfully, much has changed in the past decade and we’re seeing more and more fantastic venues, many of which are serving an increasing range of beer. Well served by local brewers BentSpoke, Zierholz, Pact and Capital Brewing Co, many restaurants are offering quality, fresh craft beer and most venues are exploring craft beer on at least one or two taps. For this Crafty Crawl, however, we’re taking you to the best of the best - venues that may not have the most taps, but do have the most passion for great beer and for helping punters explore the variety now on offer. We’ll save the brewpubs for another day, because they deserve their own post. In the far north of Canberra, the George Harcourt could be the perfect spot for weary travellers to unwind after a long drive to the ACT. 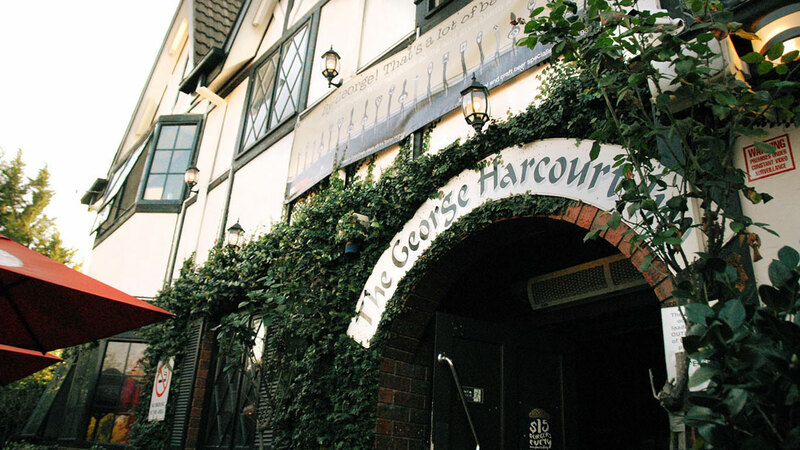 Built in the 1980s, but with a pretty authentic tilt at the classic Tudor style pub, it has a great vibe to soak up while sitting and chatting in the sprawling beer garden or at a booth inside. With 20 taps on offer, it caters for a diverse group, with a variety of standard Aussie staples, British and European classics (this is a great spot to sit back with a pint of Fuller’s London Pride), and at least four taps constantly rotating through craft beers.These offerings have a focus on seasonal styles, and anything that rates well off these rotating taps has a chance to graduate into the more regular lineup. Since taking over in April 2015, the new owners in this Belconnen beer oasis have only had craft beer in mind. Co-owner Joel Baines says he wants the Pot Belly’s points of difference to be taps that offer a variety of styles and to challenge perceptions of craft beer – going beyond the obligatory IPAs and pale ales. 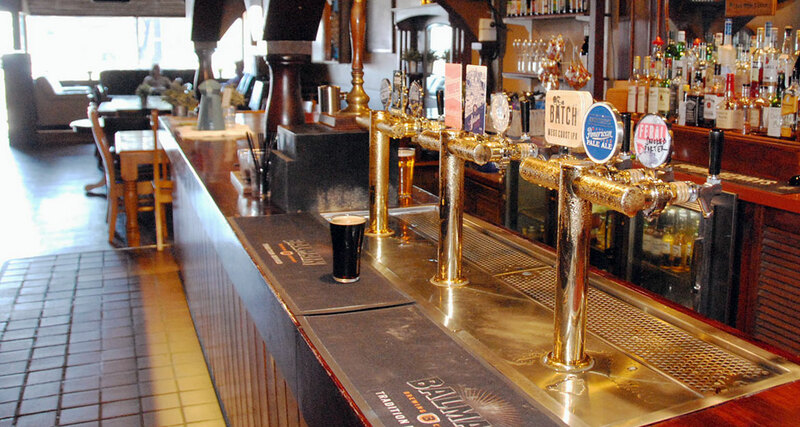 The nine taps and one handpump are constantly rotating, with a focus on freshness and demand. And the punters are loving the variety too - word of a new beer on tap tends to bring people in just to try something different. This variety will be further enhanced late in 2017, with the Pot gaining the final approval to brew on its own 230 litre brewery, something Joel, the former Canberra Brewers president, is keen to use to make as many beer styles as possible. Watch this space! Stepping into the Old Canberra Inn is like being sucked through a time warp taking you back in time 100 years (but with more beer styles on offer than you'd have found the). 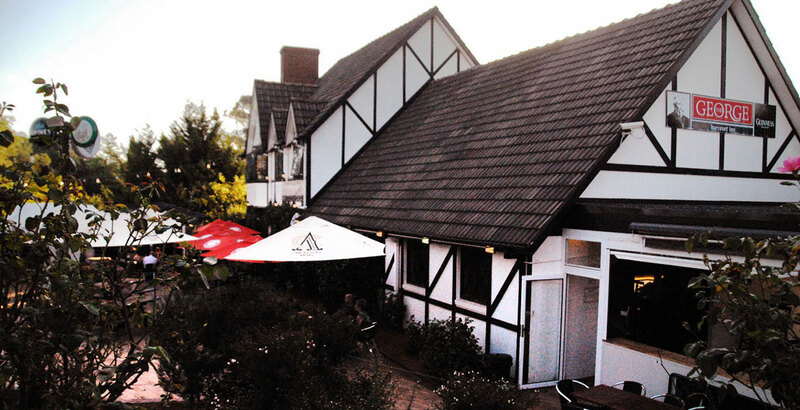 As one of the region’s first licenced venues, it’s actually been around since before Canberra was a thing - this place is more classic country pub than most classic country pubs. The rustic building, wood fires, brick floors and hearty pub fare make this a sensational spot for a beer - all the better with a stellar rotating craft lineup. The eight taps place a focus on limited release and seasonal beers that other venues may not get their hands on. 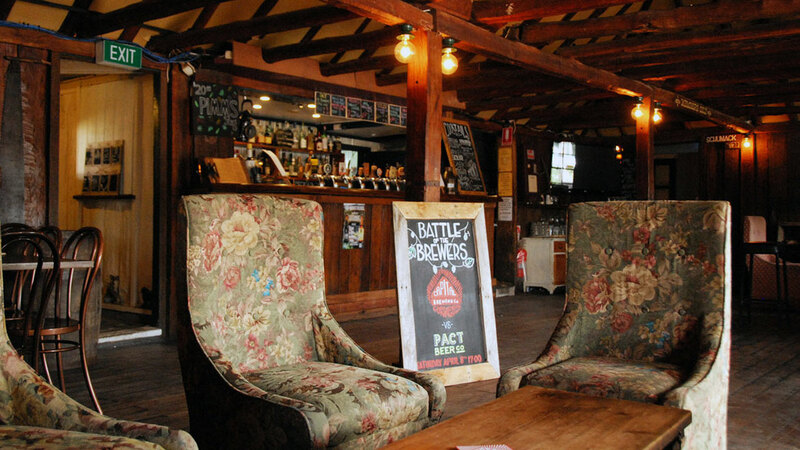 Regular Battle of the Brewers events add to the fun of trying new beers and the owners say punters are relishing the variety and are always excited to explore new styles. As these words are being written, the pub is working hard to top its 2016 efforts: over the 12 months, more than 400 different beers were poured through the taps. The newest player on this list takes us into Canberra's CBD (or Civic as the locals call it) to a spot conveniently close to the main bus interchange. The owners of Brew Nation have been working in hospitality in Canberra for a few years and have a strong focus on local. Six of their nine taps are always going to be dedicated to Canberra beers, with the remaining three going to whatever else takes their fancy - usually something a bit out of the ordinary or harder to get; as an indicator of how they're doing, they’ve been chosen as the Canberra venue for Feral Brewing Co’s first Tusk Day release of 2017 (April 13 if you're reading this in time). As well as the solid variety on tap, they’re building up an increasing variety of cans too. Heading underground, the Transit Bar offers a great mix of craft beer and bands. Gig goers have 12 taps to choose from, with a steady rotation of local beers (the Pact range has had a steady representation in the past due to past links between the two businesses) and other seasonally appropriate craft options. 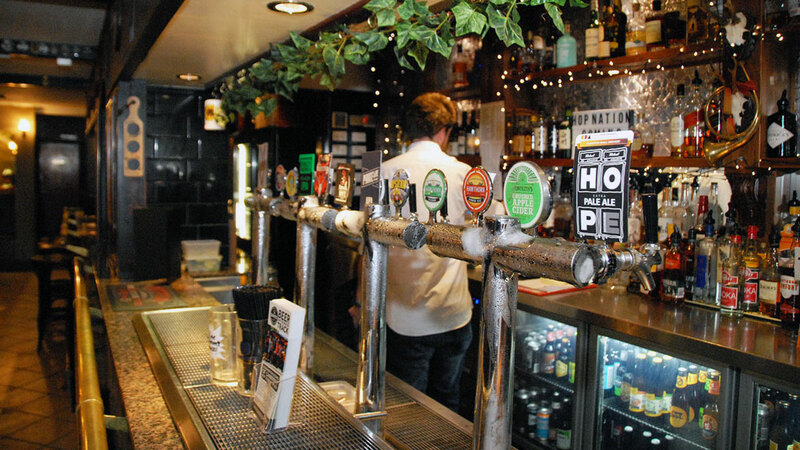 They also offer a tap dedicated to the Good Beer Co’s Great Barrier Beer, from which 50 percent of profits goes to the Australian Marine Conservation Society. Picked up by new owners early in 2017 keen to pursue the crafty side of beer, we're told we can expect Transit to expand further upstairs and make more use of the streetside seating area. Last on this crawl, but certainly not least, the Durham is the jewel of Canberra’s inner south. The English pub vibe is conducive to enjoying a few beers with friends, and the variety of beer gives you plenty of reasons to hang around a while. Like most serious ACT craft venues, the staff here showcase a range of Canberra beers - the house pale ale is always Pact's Mt Tennent - but it also also puts on beers from BentSpoke and Capital. 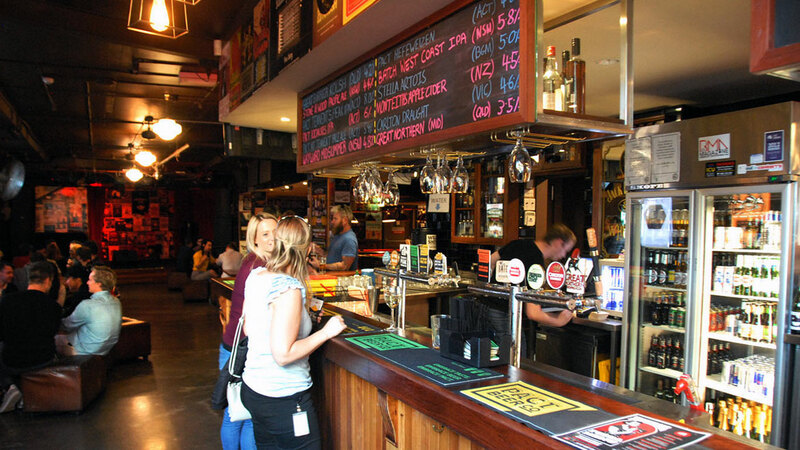 The Durham hosts fortnightly tap takeovers where they invite a brewery from around Australia to showcase up to six of their beers – and often entice the brewer along to talk with patrons. Outside the takeovers, there’s generally a focus on balance, with a range of IPAs, at least one sour/gose and a couple of dark beers. Look out for a second Canberra Crafty Crawl focusing on the city's brewpubs and bottleshops later in the year. You can also check out our other Crafty Crawls here. About the author: Patrick Baggoley is a passionate homebrewer and Beer Judge Certification Program (BJCP) trainer for the Canberra Brewers.